Heating, Ventilation, and Air Conditioning (HVAC) projects may not seem all that difficult. However, many homeowners opt to hire a professional to ensure quality results on their HVAC system maintenance and upgrades. Have you wandered the aisles of your local home improvement store trying to determine what you need for your home’s air conditioning or furnace? If you are unsure about what is wrong with your equipment, get a professional’s opinion or you could be spending money unnecessarily. Even if you have considered replacing the system yourself, talk to some HVAC professionals before you go down the DIY road. HVAC professionals are the experts for all things HVAC. It is the job of the HVAC professional to know what to do and how to work with your HVAC system. Here are 5 ways hiring an HVAC professional save you money. 1. Before you make that first call to an HVAC professional, write down all of your questions and concerns. If you want to know if you should replace or upgrade your system, be sure to note your questions on the list. If you want to see if your system can handle central air conditioning, write it down so you remember to ask. Having your questions written out allows you to take notes when discussing your potential HVAC project with the company. Some companies may not do what you need or want done. It is best to know before hiring a company that they can only do a portion of the needed work for your job. Having to hire an additional company can increase the overall cost of the job and prolong the completion of the project. 2. Select three HVAC installation companies in your area. Check their websites to make sure they are licensed, bonded, and insured (regulations and licenses vary by state). By making sure they are properly licensed, bonded, and insured, it protects you, the homeowner, from injuries or mistakes made by the contractor while on your property. 3. Ask for a written quote from each HVAC installation company you contact. This allows you to know exactly what costs for parts and labor will be before the job is started. When comparing the three price quotes, look at how much each is charging for parts and labor. Is it a fixed price for the project or is it by the hour? Per project rates mean the clock is not being watched. Per hour rates mean a 2-hour job could turn into a 6-hour job, sometimes due to unethical business practices. When in doubt, call the company back and ask for a more detailed quote and explanation of their charges. 4. HVAC professionals work with HVAC and electrical systems daily. It is what they are trained to do. While DIY techniques may work for some areas of the home, let the experts repair and replace the HVAC in your home or business. 5. Hiring an HVAC professional and having a professional installation of your HVAC equipment usually gives you a warranty on the equipment along with labor, depending upon your contract. Be sure to ask the questions before agreeing to the installation or repair work. 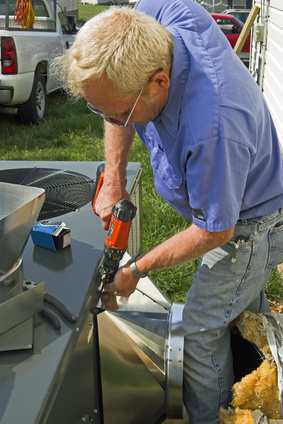 HVAC repairs and installation are not without some cost. The cost comes from the equipment being installed, the labor to have it installed or repaired, and the warranty for the equipment and possibly labor to have it replaced. If you are in the market for an HVAC equipment upgrade or you know yours will need repairs, make the calls today for repair or installation quotes. This allows you to save if needed and to add the costs to your household or business budget. < Does cleaning your ducts mean a more efficient HVAC system?